I first met Melissa and Dave at Dave's sister's wedding two years ago. Melissa and Dave met each other randomly at a bar in Cambridge. When they figured out that they lived around the corner from each other, they started hanging out and have been best friends ever since. They got engaged at their favorite restaurant and bar in Somerville, which is the same place they've had all their important conversations, like "Are we boyfriend/girlfriend?" and "Should we move in together?" 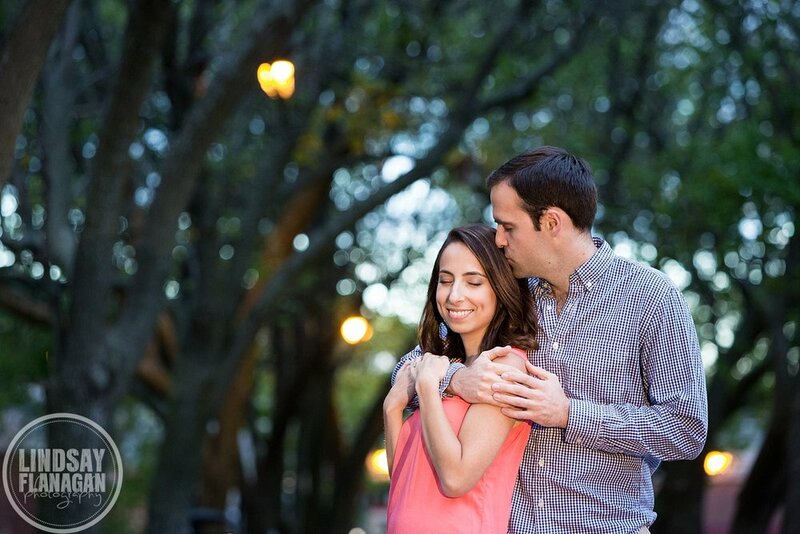 Melissa and Dave didn't want to do a typical engagement session. They were looking for something more relaxed and for a setting (or two) that showed off who they are. I suggested we visit the neighborhood they love and have spent so much time in together - Somerville, MA. We started at one of their favorite restaurants, Posto, where they sipped champagne at the bar. Our next stop was The Foundry on Elm, which is the spot where they got engaged. The photo of them on the stools at the front window of the bar is the actual spot where Dave proposed! For the rest of their session, we wandered around Somerville, stopping for a few in the train station and ending in front of the beautiful Somerville Theater. Congratulations Melissa and Dave! Can't wait for your wedding next summer at the Charles Hotel in Cambridge!